In Opposite land the roles of bicycles and cars are reversed. Every street is a bike street. Every house has a bike garage and bicycles dominate the transportation environment. There are elevated commuter trains over grand central Bike stations with tons of bike parking and restaurants and showers and mechanics on staff. Roadies ride through towns on Bike Freeways with onramps and offramps. There are large beautiful country bike loops to wineries, cafes and b and b’s in the surrounding hills. But in Opposite Land… the general public says that cars are just not useful for regular people who actually go to work and need to buy groceries. They are too difficult to get around in and too dangerous…. They just don’t make sense. So the Opposite Land “Automobile Coalition” aims to change this. They visualize a multi modal transit infrastructure that serves all users equally. They have signs that say “share the road. They explain that with more Car paths and car routes car usage would go up… dramatically. Yet even with advocacy… Opposite Land automobile infrastructure receives less than 2% of transportation funding. What is it going to take to change this? How can we convince Opposite land government that Automobiles usage is up and climbing… and deserves more than 2%? 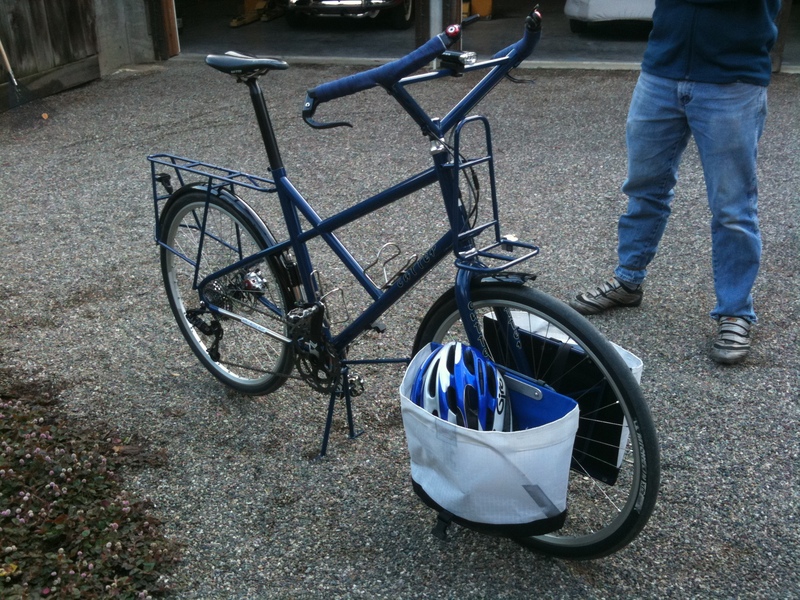 BTW… the bike in the photo up top was built by John Cutter in San Luis Obispo… for the 2011 Oregon Manifest. It received honorable mention… but probably should have won instead of that beachcruiser with a radio.